Five to ten thousand years ago, Shiva gave a series of 112 tantric meditation techniques to his beloved consort Devi. Osho practised all of those techniques as a youth, and later commented on the ancient book in a series of talks called The Book of the Secrets. 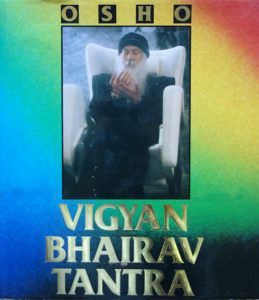 Those commentaries are now published as Vigyan Bhairav Tantra. Several of those techniques are available, with music, from www.meditantra.com.